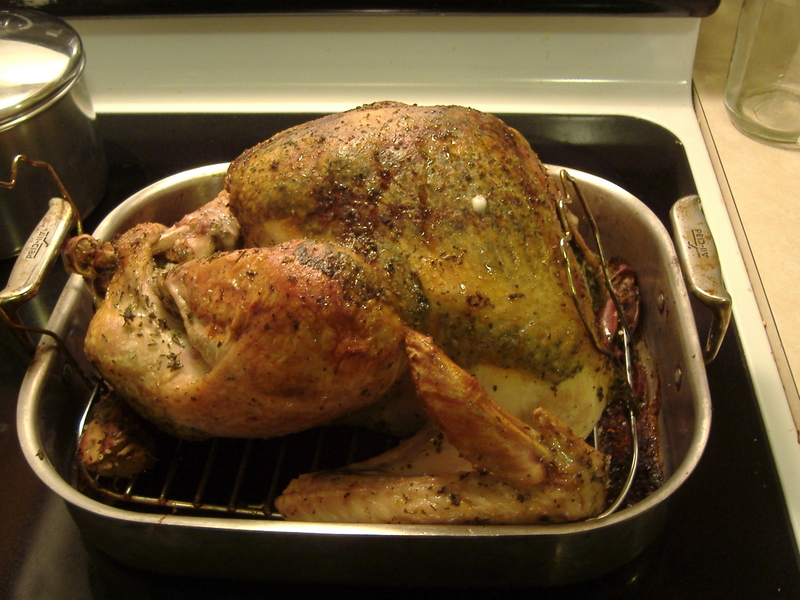 Why not jumpstart your New Year’s resolution—”to eat more healthfully”—at Thanksgiving? That’s right, I said Thanksgiving. Because the basic inputs—turkey, cranberries, Brussels sprouts, sweet potatoes, green beans or collard greens—are inherently healthful foods. It’s what you do with them— whether it’s serving up deep-fried turkey or going heavy on the mini marshmallows, butter and cream—that transforms these foods into a calorie fest. Ready to give up feeling overstuffed, lethargic and a few extra pounds? Here’s a menu, time-tested and beloved, that I had developed for Epicurious.com. It’s relatively easy and big on flavor: http://epi.us/HlthyThxgivingRecipes . Christopher and I have cooked variations of this for friends and family over the years, but pick and choose as you wish, or go for the whole menu. P.S. : the ginger-pumpkin mini soufflés are the bomb! This entry was posted in Food, Health, Home Baking, Home Cooking, Wellness and tagged ginger-pumpkin souffle, healthy holiday eating, healthy Thanksgiving menu, Thanksgiving turkey, thyme-roasted sweet potatoes. Bookmark the permalink.